An extensive biography of Rolando is below in italics. I want to add one aspect, something I’ve learned as a gym rat, outdoors enthusiast, and health nut for 24 years. For most people, acquiring flexibility, fitness, tone and strength isn’t exceedingly difficult when you’re aged 16-25. After that, everything gets slightly harder year by year. 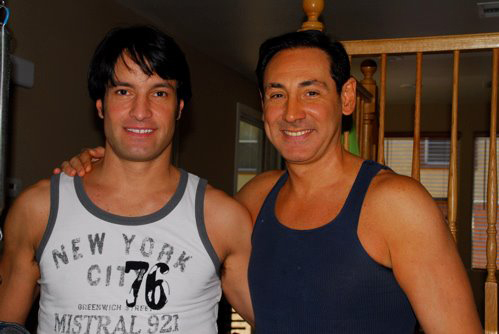 Rolando is turning 50 soon — and he has fantastic fitness! Strength, tone, flexibility, and even cardio. On a recent hike, I watched him bounce down the trail like the Energizer Bunny, then scale steep rocky terrain like an Argentinian mountain goat. Who can do this while maintaining amazing flexibility? Rolando. Tis a testament to his knowledge and practice of Pilates. At nearly 50, I believe he has the fitness level of an athletic 28-year-old. Rolando Agnolin, a native of Buenos Aires in Argentina, discovered his passion for Pilates ten years ago when he was performing as a professional dancer. 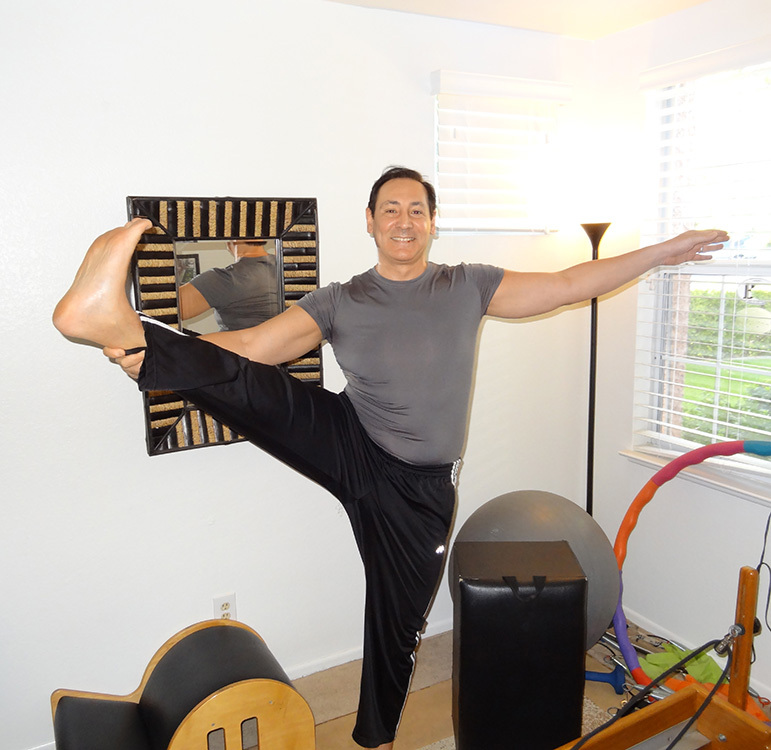 After pushing his body to extremes over the course of his career as a performer, he was seeking an exercise method that would allow him to maintain his flexibility while still giving him the strength and stamina needed to endure long workdays. Pilates not only met his fitness needs, but he found the extensive variations within the exercise style kept him incredibly motivated. 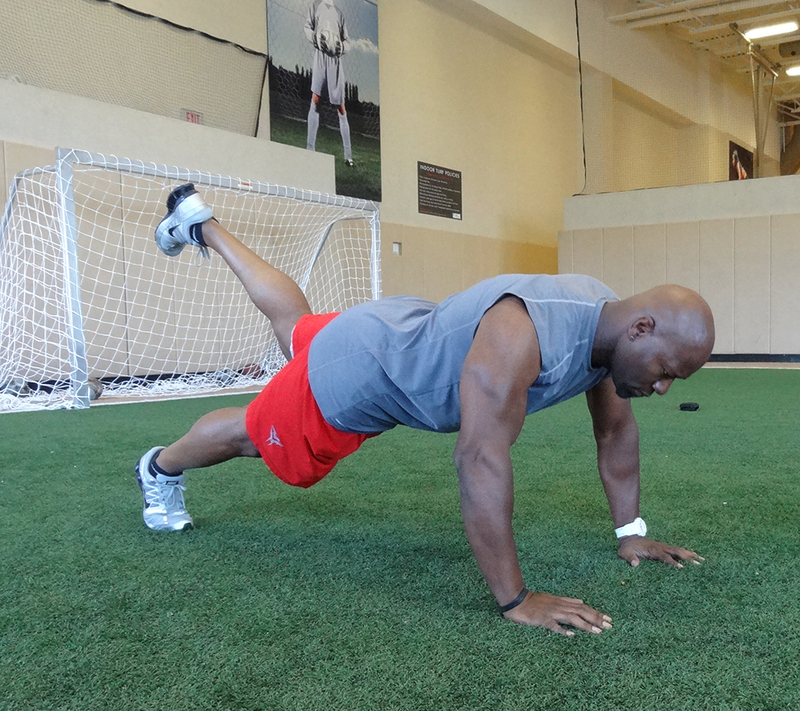 This increased his commitment to his workouts! Excited to share with others what a difference Pilates can make to the sculpture and elasticity of the body, Rolando trained to become a Pilates instructor at the world renowned Body Arts and Science International, one of the foremost college-level instruction facilities in the world. 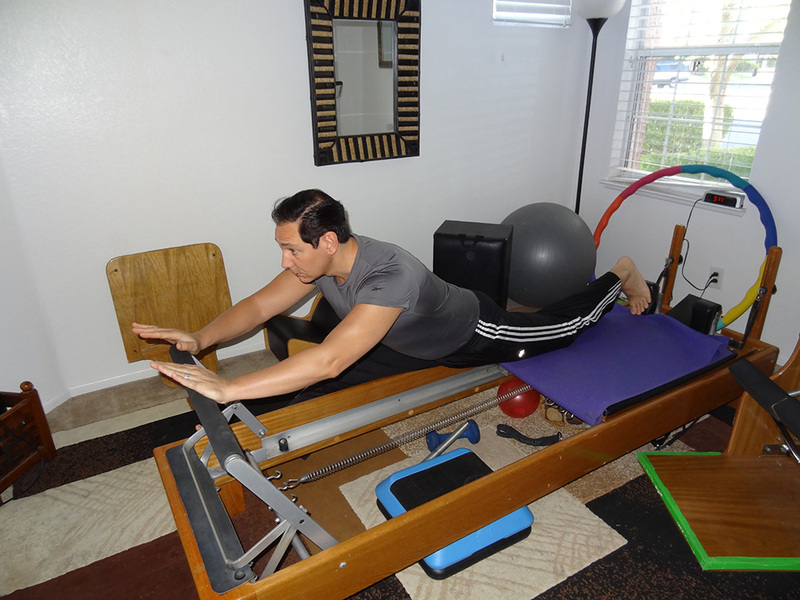 Dedicated to maintaining his knowledge as a Pilates instructor, Rolando is also a member of the Pilates Method Alliance, which provides continuing education to certified instructors. 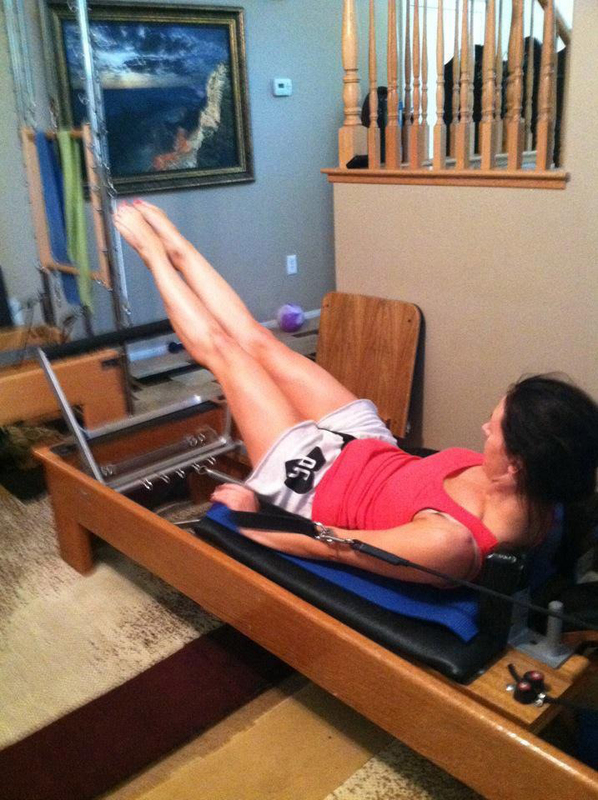 Pilates has up to 1,000 exercise variations, and though the focus is on core strengthening and flexibility, these full body exercises can provide a cardiovascular workout as well as sufficient strength training to create the desired body tone. Rolando’s biggest asset as a trainer is his ability to listen to his clients’ needs. Whether providing one-on-one instruction or group classes, he always takes the time to find out what each person wants to accomplish. Even during group sessions, each class member receives personalized instruction and training. Whether the goal is weight loss, muscle toning, stamina, rehabilitation, or cardiovascular improvements, Rolando creates a customized session during every visit. No workout session with Rolando will ever be the same, this is the difference between Pilates with Rolando and training at the gym—the word “routine” does not apply. Though his clients call him a tough teacher, they will always emphasize how much he cares about them. 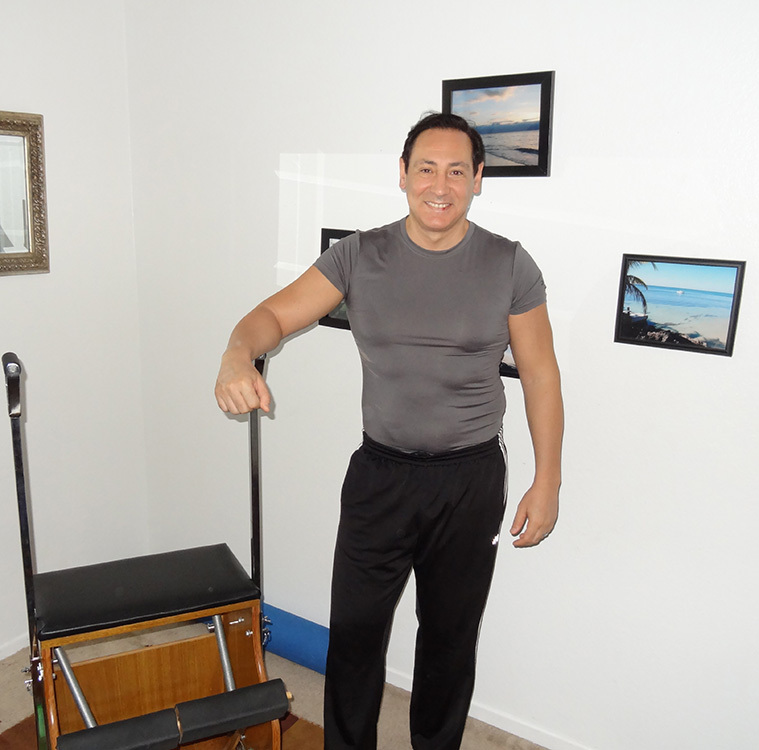 Rolando enjoys teaching Pilates because he takes pleasure in showing people that exercise does not have to feel like work. 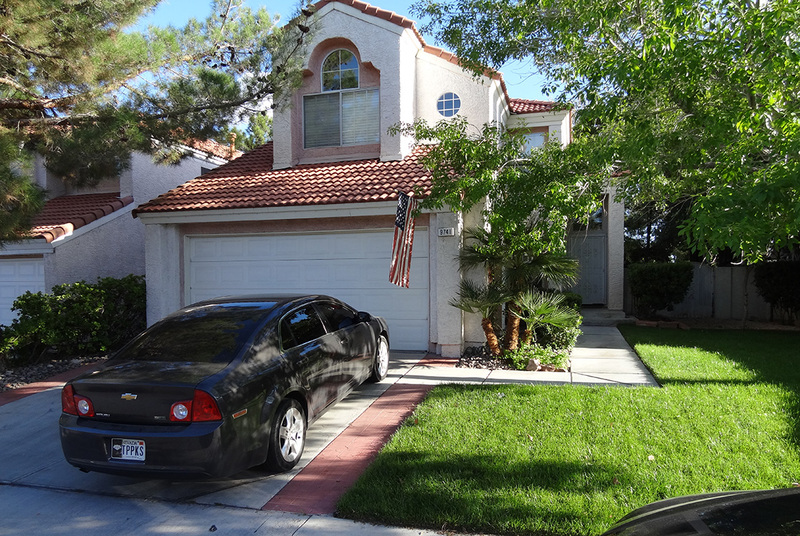 A combination of verbal dialogue and body cues allow Rolando to push his clients as far as they are ready to be challenged. 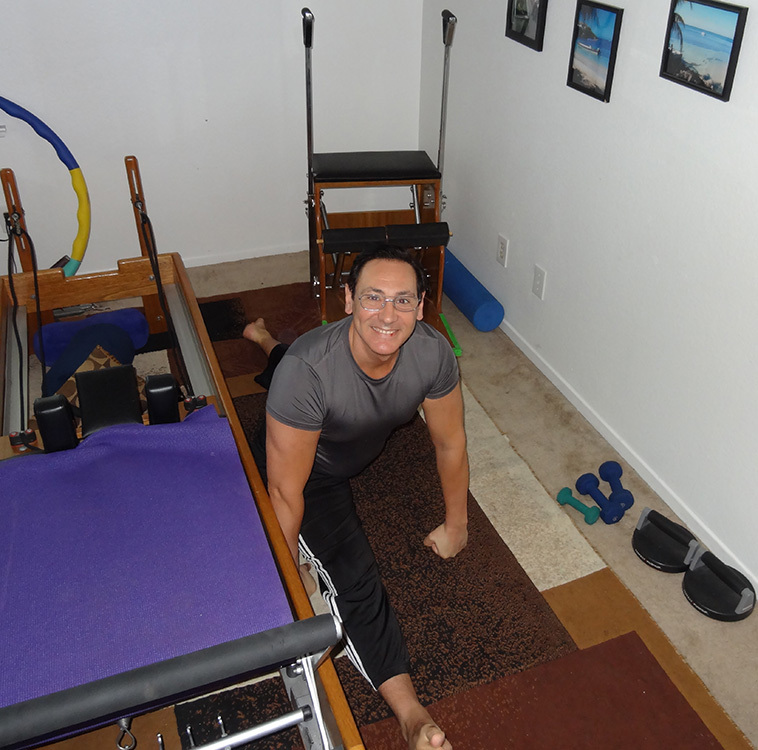 A very results-oriented instructor, Rolando understands that each person is seeking a different experience and he enjoys creating a unique Pilates session during every visit to ensure that each of his clients achieve their goals.